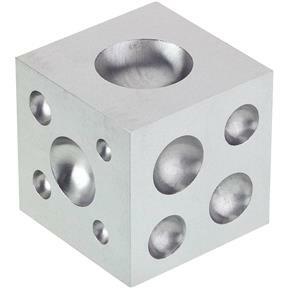 This Jeweler's Dapping Die Block measures 2-1/2" x 2-1/2" x 2-1/2" and made of solid steel. Features 6 faces with various sized dies. Use to shape softer metals.